Oil and acrylic artist. Plein air painting all year and anywhere she travels she will paint. Seashore, boats, the mountains, our national parks and Europe. Barbara captures color and light while painting contemporary life in her landscapes. I pack my car or trailer and and take to the road to capture the beauty of the land. 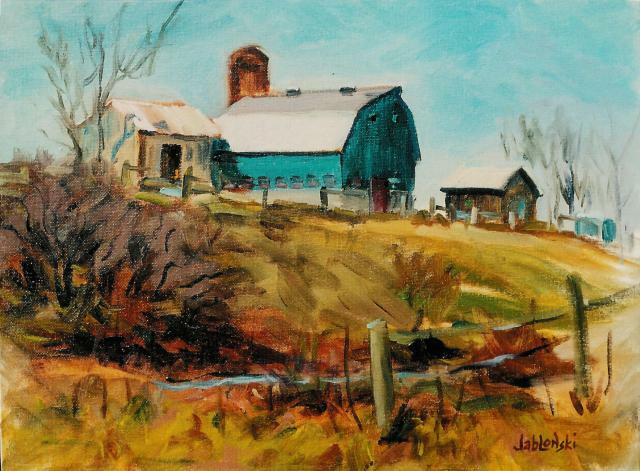 "Plein air painting" is a personal development experience," says barbara. "I will always be a 'student of the art." Experiencing the challenges and excitement of painting nature as you see it, Barbara paints out of doors throughout the year. After a sabbatical from art, I resumed painting in 1996. I study oil painting with internationally-acclaimed artists Robert Liberace, Steven Assael and Steve Carpenter. studies include nationally-known plein air artists Kenn Backhaus, Mark Boedges, John Budicin, David Lussier, Frank Serrano, Magaret M. Martin AWS, and pastelists Albert Handell and Kathryn Bevier. I participate in competitive art shows and have won numerous awards including Best of Show, Juror's Awards, Judge's Awards, Merit Awards and Honorable Mentions.